White Witch Or Black Witch? Perhaps the most prominent misconception about Wicca or witchcraft is that a witch has to be either a practitioner of black magic or white magic. If you carry out research online, you will find that there are websites where the ‘white’ witches are willing to help you cast spells for a huge amount of money. People believe that a white witch is a good witch but a black witch is an evil one. On the other hand, what they tend to forget is that in witchcraft, there is no such thing as a white witch or a black witch because all the witches are just witches. Let me explain this clearly. Wicca or witchcraft, as it is commonly referred to as, is a religion that worships as well as respects Mother Nature because if it was not for her then it would not have been possible for the witches to carry out rituals and spells. You should be aware that it is Mother Nature who is responsible for the weather events that takes place all around the world, some events (like earthquakes) may kill people and some events (like snowing) causes the places to look beautiful. You can not say that she is evil or good because she is a combination of these two. It is because Mother Nature is highly unpredictable; people love as well as fear her. It is believed that a person is a white witch if her deeds and actions do not end up hurting other people. In other words, a white witch is a good witch. On the other hand, the color black has always been related with the evil and as such, a black witch is considered to be someone who is evil. 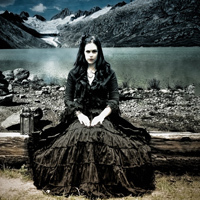 Now you need to understand that both black as well as white witch exist but if the witch undertakes magic or spells to hurt others then she will get back the same bad thing three times in excess. Thus, witches are very careful when it comes to casting spells on people that will cause harm. In fact, it is very rare that witches take actions to harm others. They will not do anything bad to people if these people have not done anything to harm the witches. So how come there are some witches who claim that they are white or black witches? Asking this question is like going to a Catholic church and asking the priest there whether he is a good priest or a bad one. You need to understand that a witch is a witch. No one can say whether a particular witch is a white witch or a black witch. Just like any ordinary person, even the witches make good as well as bad choices. It will be alright for a person to call herself a white witch if she has good days all through her life but we all know that life is unpredictable and it is not possible for a person to have good days all her life only. Whether a witch is black or white is not important because what is more important is that fact that she is a good witch. A person is considered to be a good witch if she thinks several times before performing any spells or magic. She will have to make her list and make sure that her actions will not end up harming any person. Hello? I would like to be rich and famous.what I want to do is be a boxer,and I very very great,and excellent boxer.I would like to be the most riches,and wealthiestcelebrity,and the most famous celebrityfamous on television.I would also love to marry,and have lots of children with a women name Selena Gomez who is already a celebrity.and I want my life and marriage with her to be true love till the end.and further in the future I would like to start a huge wrestling company that will be bigger and better the wwf,wwe,tna,wcw,and other wrestling companies through out the world.I want my wrestling company to be the biggest company ever.and I want me and Selena Gomez,and my children to have a very fun and exciting life together.I want my children to have the best child Hood,and teenage years of there life.,and I want my wife Selena Gomez to be the luckiest women on earth,by my being the the best husband she ever had.could you please do all of that for me? that get back 3 times, was made up by Earl Gardner, and is also not true. It was told to scare people, not to do bad things to others. sometimes, people deserve bad things, abusive husbands, sexual devidents, all deserve bad things. I truly do believe is article. THANK YOU, for Explaning this: doing good ,will come back, just as doing Bad, will come back, it's the Law of KARMA,.. In the past I have appreciated your articles and found them informative. However, I have been left wanting on this one. I was expecting a big reveal and instead I get the obvious and not an explanation as why the black and white witch reference is used so widely. Yet you feel it is not a real way to define a witch or a Wiccan. You use Mother Natures will as a basis that witchcraft cannot be either black or white. Here you compare us to a God in my eyes whose will that she wields is not based on good or evil. However, humans that are witches make choices based on the outcome of a spell or how they went about casting a spell can be decidedly good or evil. How a witch wields their gift, the intent as well as the outcome, can be defined as such. Black or white, there is no in between. You either stand for your beliefs and the Wiccan Rede or you don't. It's as simple as that in my eyes and others I know. What spell would you recommend for 36 strand dna activation? I,m a helper of all kinds, i give powers to deliver people in any kind of problems, i give wealths, i heal any sickness that has name, i restore womb, in my world nothing without solution contact me via mail [email protected] come one come all your decision can change your situation. All, it is difficult to provide exact details on your requests as they are all different and require different energies. 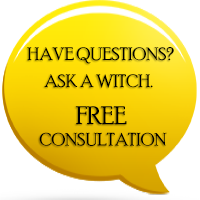 One website I think may help you is www.witchvox.com. There is a wealth of information there for you to review. I wish I had all the answers for you all but I do not. Having a specific witch is not how we work here in our Coven. You can use any of our witches you are comfortable wih. Dear Ibrahim, Although we greatly appreciate your interest in joining our Coven, we are not taking in any new initiates at this current time as it would put too much strain on the other Coven members should there be too many untrained initiates. Disclaimer: Our services are only available to those who are over 18 years old. ** Individual results may vary.